Hello. Is it possible to change default console position? Is it possible to move the vaccinator buff type icon? I know it is ResistIcon in HudMedicCharge, but no matter what value I put in xpos and ypos, it refuses to move. Edit: Turns out that the vaccinator icon is forced into the upper top left corner of the HudMedicCharge.res, which can be changed in the hudlayout.res. So sadly, it cannot be moved by itself. Thanks to rays for the answer! as you can see when I have three digits of health it's 'centered' but it's not when I have 2 digits and it's even worse when I have only 1. 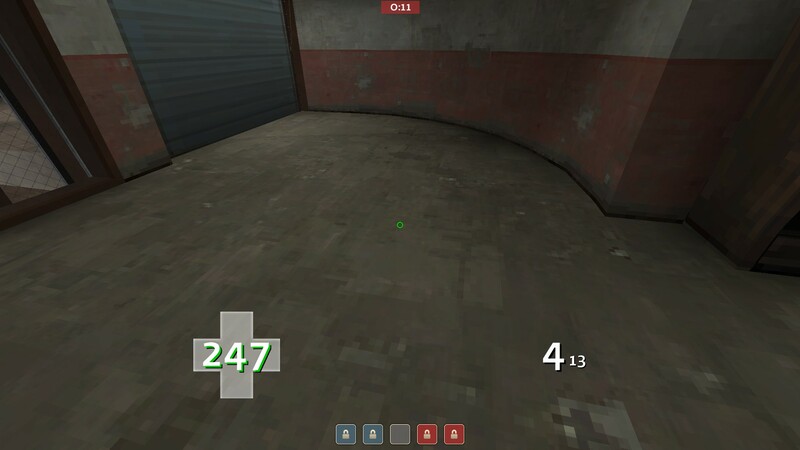 Same things happen when I have something like 200 health, it stretches to the right because the zeros take more space than, for example, the 7 and the 5 in 175. Not sure if this is how it's supposed to be though. What am I doing wrong and how can I make it always centered no matter how many digits are there and what numbers are there? Here is my hudplayerhealth.res just in case. [url=http://pastebin.com/AxTjhVG4]Here[/url] is my hudplayerhealth.res just in case. @LeRayonVert u need to change the textAlignment under PlayerStatusHealthValue from "right" to "center"
How do I make these health values show overheal and low health? I've never been able to figure out which files to edit nor knew exactly what to add. jonaz@LeRayonVert u need to change the textAlignment under PlayerStatusHealthValue from "right" to "center"
Does anyone know a) if there is an equivalent to x_offset that can change ypos and b) what elements x_offset can actually affect? So far, I've only seen it used in BXHUD's item meters, I am wondering if it would work for killsteaks + crits/heads or something like that. how do i fix this/ edit it to be transparent black? I don't suppose anyone knows what the [unknown] tag is linked too... (using bwHUD). How to I change the pink color in this? It's also on item_inspect. I think that's the GameType in Scoreboard.res. Try setting visible and enabled to 0 on it. It's missing a texture file. im trying to use the hud_combattextbatching stuff but like other people it gets confusing to see the actual damage done at the time of the shot and i had this idea to turn the batching on but invert the hud damage values positions, the last damage that stays near the hp value goes to the center and the damage that shows above the player stays on the bottom, keeping the actual damage shots in the center of the screen and if you want to see the total ammount of damage just look at the damage value near the hp value/cross, but i can´t seem to get rid of the pop up animation on the damage and the numbers float arounds they dont stay on the same spot when u move, my question is how do i get rid of that animation/floating stuff ? keepertonHow do I make these health values show overheal and low health? I've never been able to figure out which files to edit nor knew exactly what to add. I don't know what colours you want to use but the name of the variable is PlayerStatusHealthValueSpectator. You animate that in hudanimations.txt under event hudhealthbonuspulse. You can do the same under hudhealthdyingpulse. You want to go into clientscheme and find the text "TFFatLineBorderRedBG" and change the draw_corner_width and height to "0". You'll want to do this to OutlinedGreyBox and OutlinedDullGreyBox for when people are dead. [quote=keeperton]How do I make these health values show overheal and low health? I've never been able to figure out which files to edit nor knew exactly what to add. Which .res files do i have to edit to change positioning of the vaccinator buff icon and the charge bar? Slayer6Which .res files do i have to edit to change positioning of the vaccinator buff icon and the charge bar? What file controls the menu/loading screen font, caps and size? Also, when joining a server the hud lets me click anywhere to continue and I'm interested in what lets me. poojpongWhat file controls the menu/loading screen font, caps and size? hey, anyone know how to edit the health that appears above the giant robots in mvm? mine appear to be cut off on the right side. What are the files called which include the new robot destruction stuff? and does it have an entry in hudlayout? If yes, what is it called? 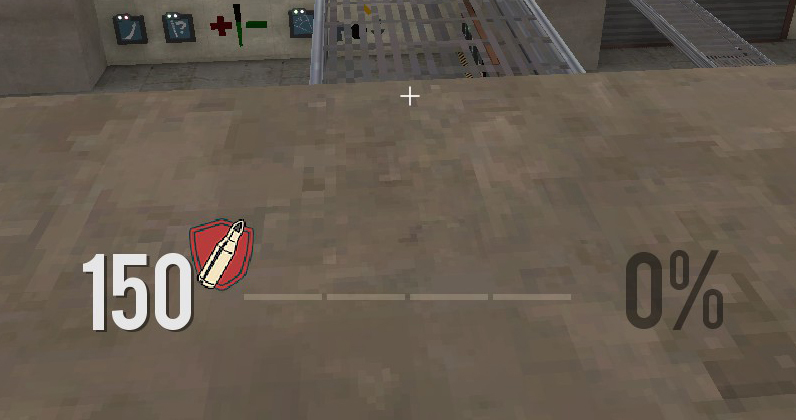 pwny_hey, anyone know how to edit the health that appears above the giant robots in mvm? mine appear to be cut off on the right side. In what file can you change the buffed HP color shadow in m0rehud ? I've literally searched everywhere and nothing seems to work. AntaresIn what file can you change the buffed HP color shadow in m0rehud ? I've literally searched everywhere and nothing seems to work. [quote=Antares]In what file can you change the buffed HP color shadow in m0rehud ? I've literally searched everywhere and nothing seems to work.